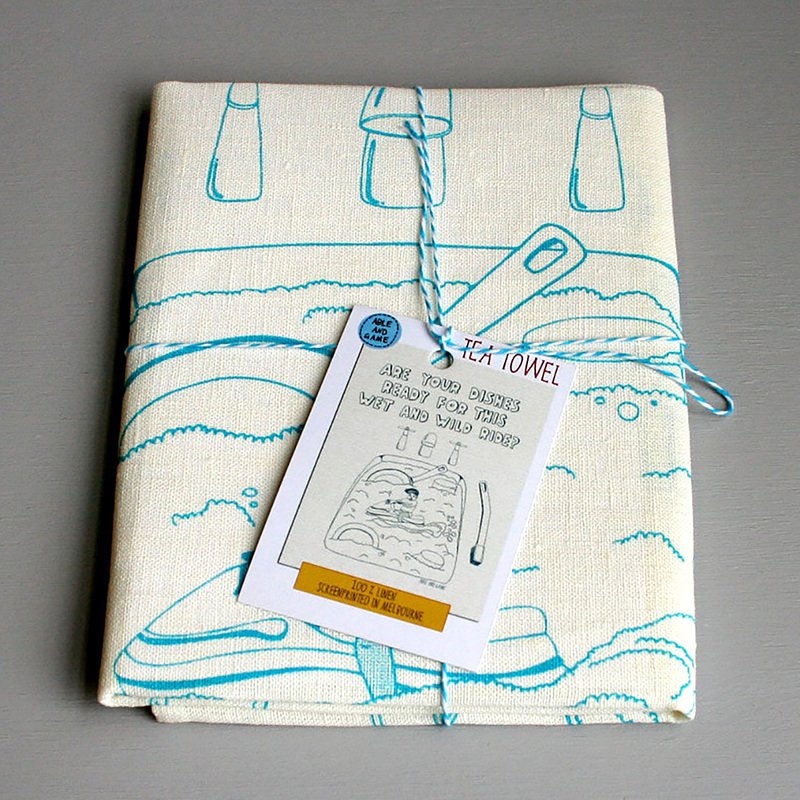 This tea towel features a miniture man on a jet ski ready to ride the waves of your dishwashing water! He talks to you from within your kitchen sink, surrounded by dirty dishes. 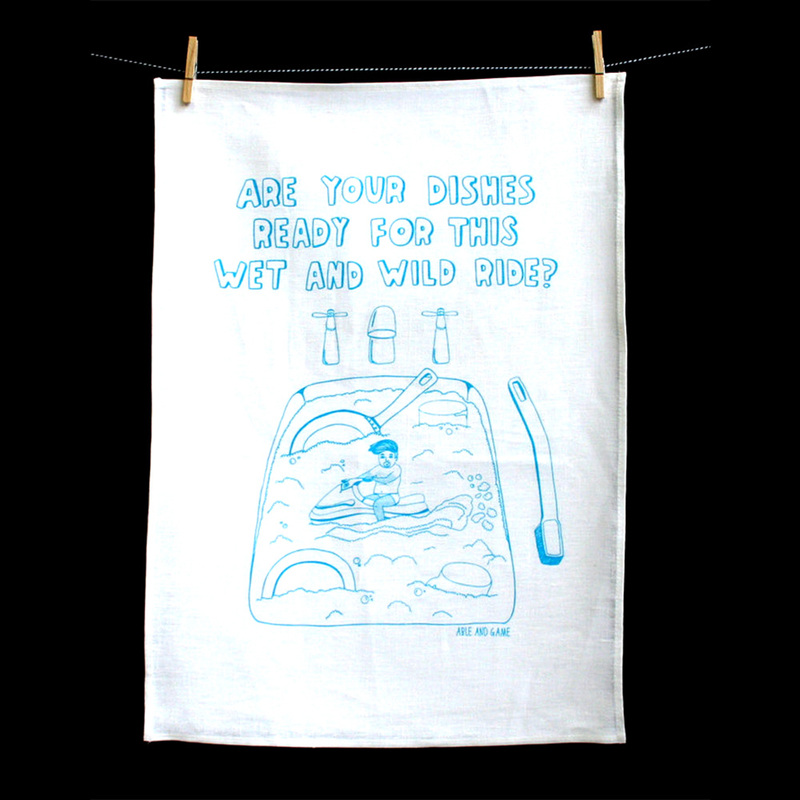 Screenprinted in light blue, the title reads, "Are Your Dishes Ready for this Wet and Wild Ride? ".